Let me introduce you to comedian John Branyan, yet another Killer Stand-up Comedy System comedian. He can stand among the best out there because I have the PAR Scores to prove it. 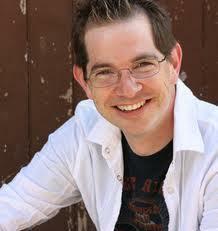 Below is a 73 second YouTube video clip of comedian John Branyan in action. Approximately 35 seconds of this bit was filled with laughter. Par Score: 49 (average of 29.4 seconds of laughter per minute)! There were 5 laughs in the first minute and 3 laughs in the last 13 seconds. Laughs ranged from 4 to 10 seconds long. John Branyan is among the BEST out there, whether you have ever heard of him or not. The numbers simply don’t lie. And I would highly suspect that you will be seeing more and more of comedian John Branyan in the future.